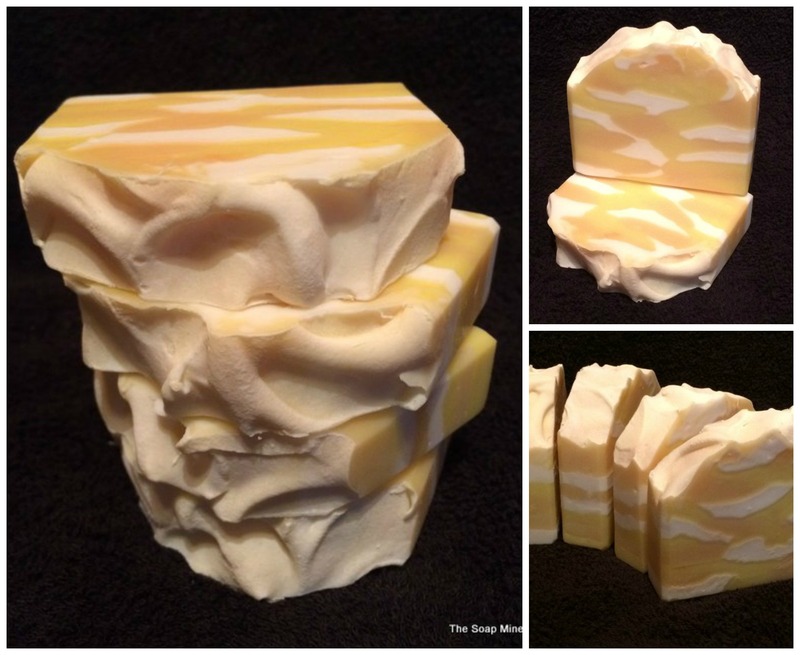 Thank you so much to everyone who came up with wonderfully inventive names for my new soap, both here and on my Facebook page. It’s taken me a couple of hours of deliberation, but we have a winner. Now this is a little convoluted, so bear with me! I was looking for a name that reflected both the fragrance (pink grapefruit, kumquat, orange and cranberry mingled with gardenia, jasmine, and freesia) AND the design, and I wasn’t entirely sure that any of the suggested names quite hit the mark. However, three people made suggestions that led me to come up with the name I’ve finally gone with. Firstly, two people (Soap N’ Stilettos & Ewenique) suggested names that included the word ‘Sunrise’ which I think nicely reflects the design. I also wanted to convey something of the fragrance, albeit indirectly, and Gunilla Stoll (who suggested Tuscan Summergarden) gave me the idea of including a place known the world over for growing citrus fruit (especially grapefruit and kumquat – happy days!) Florida. I used Random.org to choose a winner from the three entrants above – numbering them 1 – 3 in the order in which they posted on the blog post, and the winner was… *drumroll* Soaps ‘N Stilettos! Congratulations!! DM your postal address to my FB page here and I’ll send your soap out asap! And finally, introducing: Florida Sunrise. Available now! Thank you once again to everyone who took the time to enter – I really do appreciate it! Keep an eye out for more giveaways coming soon. In my last post (so much longer ago than I realised – life is busy :-D) I shared a picture of an as yet unnamed soap in the mould. Well, here it is, cut, fully cured, and STILL nameless – please help me name it! The fragrance is described as pink grapefruit, kumquat, orange and cranberry mingled with gardenia, jasmine, and freesia. To me it’s mostly citrussy – there’s a hint of background florals but the citrus notes are definitely dominant. It’s coloured with titanium dioxide and yellow and tangerine micas. I’m offering a free bar to the person who comes up with the name that I eventually choose, and you can either enter below in the comments field or on the competition post on my facebook page here. It’s open to anyone, wherever you are in the world – I’ll cover postage costs too. So don’t be shy – I know you’re a creative lot!! PS – the winning name will be chosen on Easter Monday, 6th April, after 9pm UK time.